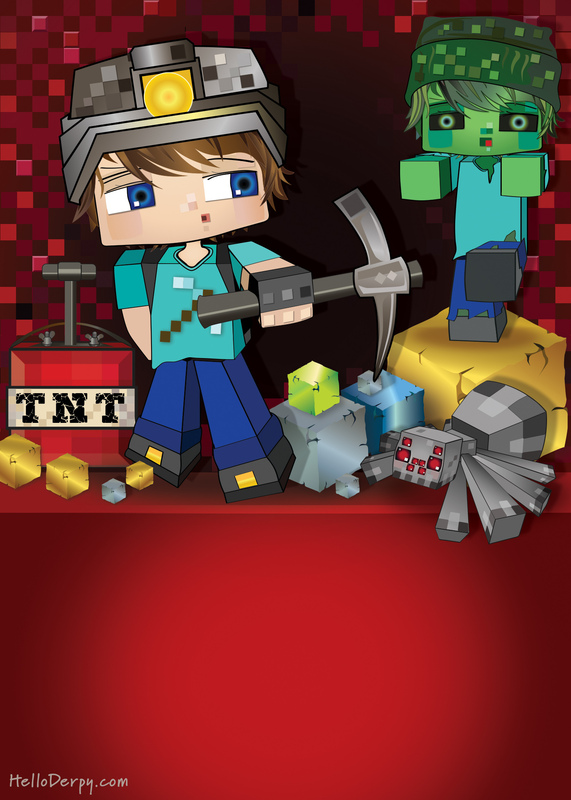 Make it a MINECRAFT PARTY !!! – with a little help from HelloDerpy. You are welcome to use the following pieces I’ve created for your own personal projects. Please note these are original pixel creations by HelloDerpy and may not be sold or redistributed in any format (printed or digital). You may however download these high resolution .jpg graphics and print as many copies as you wish for your own personal use. 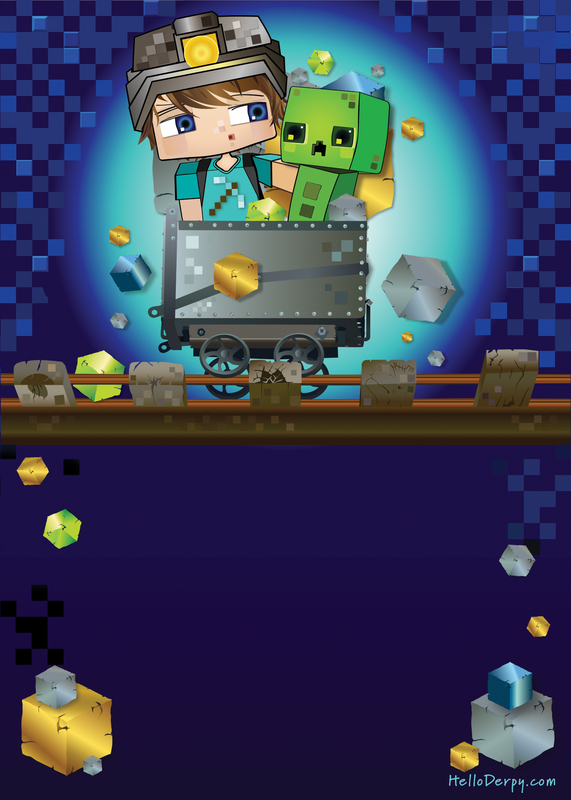 Perfect for your little Minecraft gamer to make their special occasion a fun and memorable one. I’ve designed my own Mining Themed party with cute invitations, cake toppers, buffet cards, bunting, goodie bags, thank you tags. I wanted to add a few Minecraft accents, and will be sharing them with you here, below. FREE Printable party invitation! Click the image for full size, high resolution label. Then right click the image and choose “Save As” to download this printable (this image was designed by HelloDerpy.com and is for personal print use only – you are not authorised to upload this images to your own website, resale or redistribute). 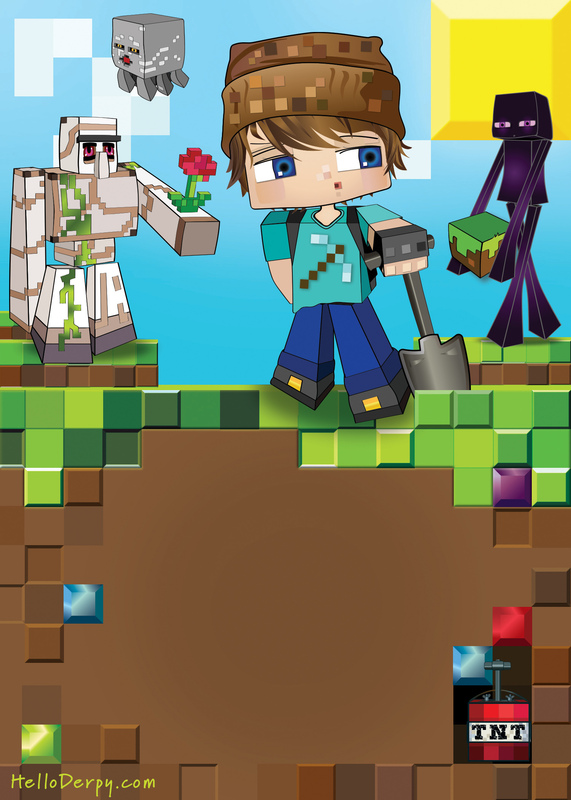 Although me (HelloDerpy) and my brother (HeyDerp) are avid Minecraft gamers and YouTube personalities, we are in no way affiliated with Minecraft. 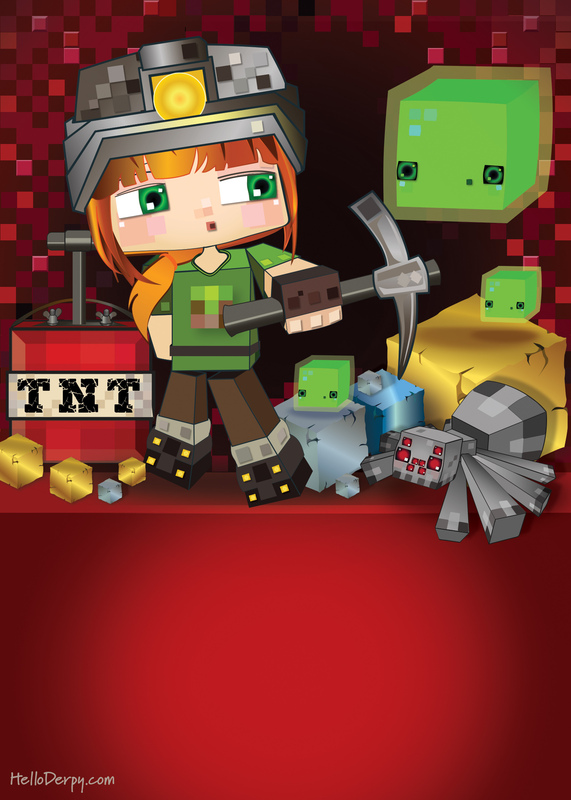 This is not an official product of Minecraft and it is not approved, endorsed or associated by/with Mojang AB. 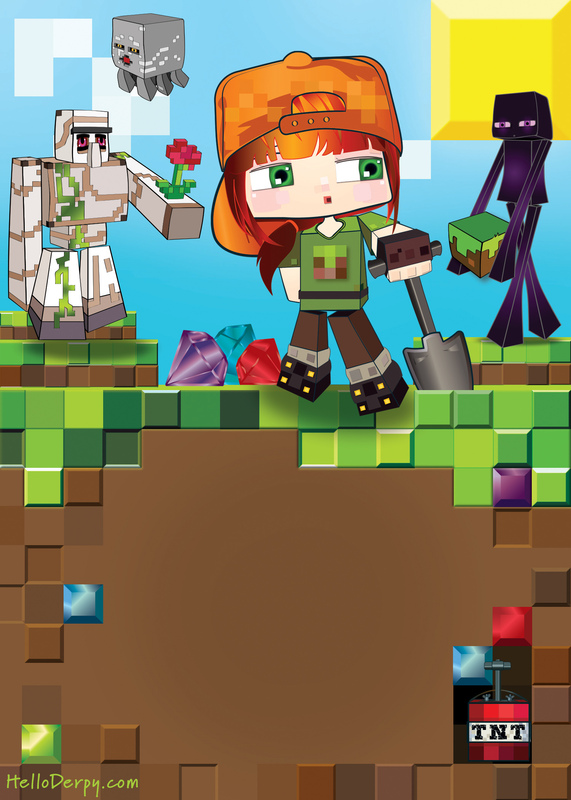 I do not sell or claim any ownership of any official Minecraft product or Minecraft assets as they belong to their respective copyrights owners and have no relationship or association with me (HelloDerpy) of any kind. HelloDerpy.com is not Mojang, is not associated with Mojang and is not endorsed by Mojang. 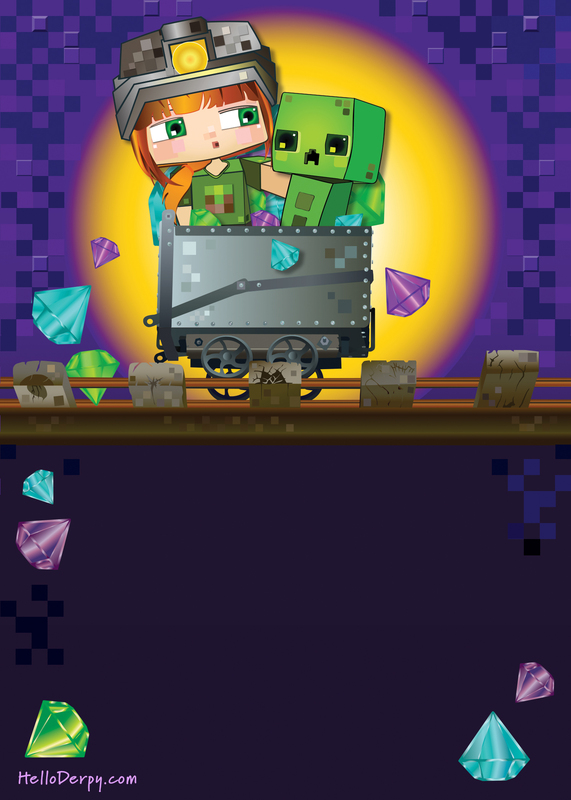 Mojang does not assume any responsibility of any kind for these printable graphics.